After pouring over all of the options on the market, I put this guide together to help anyone looking for the best gymnastics mats on the market. 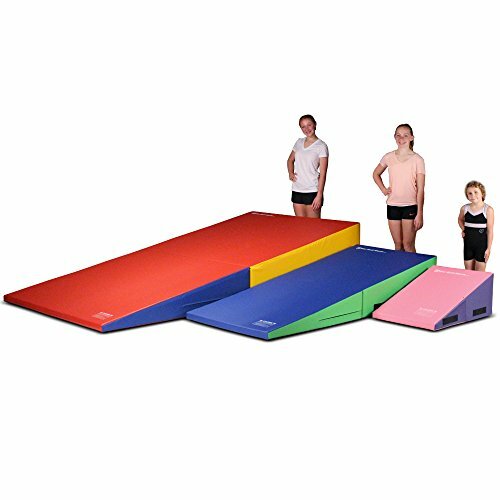 Whether your little gymnast has just started tumbling or is an experienced tumbler, they will benefit from having the best gymnastic mats at home. Gymnastics mats are for more than just tumbling. They can help with rolls, walkovers, handstands and cartwheels. Many of the best gymnastic mats are panel mats and are not just for gymnasts. Cheerleaders, dancers wrestlers, and those who want to stretch on a soft surface will benefit from these mats. They work for sleepovers too! Keep reading this guide for everything you need to know before you invest in the best gymnastic mats on the market today! 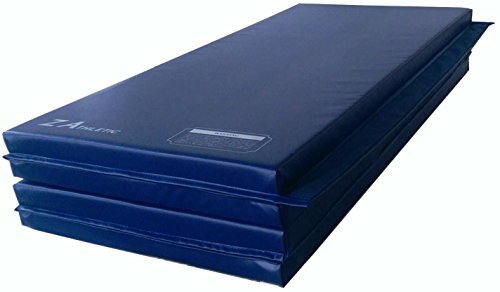 1.1 What to Consider When Buying Gymnastics Mats? 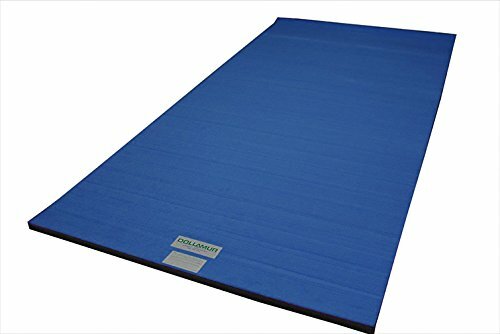 1.3 Why Buy a Gymnastics Mat? What to Consider When Buying Gymnastics Mats? There are four main things to consider when purchasing the best gymnastics mats for your home. These include the type of gymnastic mats, the thickness of the gymnastic mats, the dimensions of the gymnastic mats and the price of the gymnastic mats. 4 Panel Mat (8'x4'). Click Here. There are 4 main types of mats in my review. Those include panel mats (or folded mats, I use those two terms interchangeably), cartwheel mats, flexi roll mats and incline or wedge mats. Each mat is going to have its own use and benefit to your gymnast. These are not yoga mats and are totally different than the thin material mats that yogi’s use. However, they are perfectly good to practice yoga on if you are looking for a softer material to stretch, or to do you work outs on! 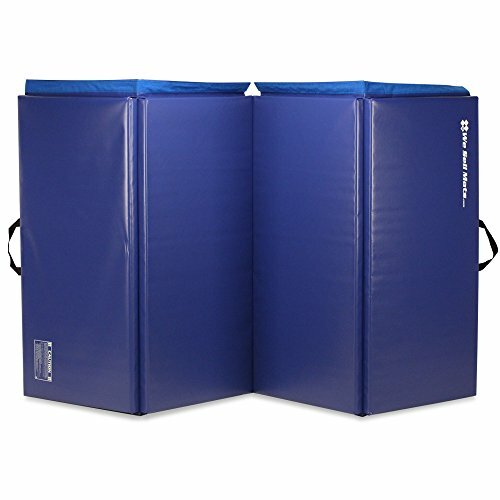 Panel mats or folded mats are the base of most home gymnastics equipment. They are the most versatile of gymnastics home equipment and can also be used for karate, dance, stretching and for kids having sleepovers! They come in a variety of sizes and colors and many styles have velcro to connect multiple mats. When not in use, they can be folded up and stored out of the way, whether in a closet, under a bed or even stacked in the corner of a room. Cartwheel mats are used for training on cartwheels. Most have a beam line on the reverse side and help children practice their cartwheels. They are usually one piece and come in a variety of colors. Some styles of cartwheel mats can be folded to more easily store! Flexi Roll Mats offer a high quality training foam surface that instead of folding up when finished, they roll up for storage. One of the benefits of a Flexi Roll mat is that it has a smooth surface, making it easy to wipe clean. 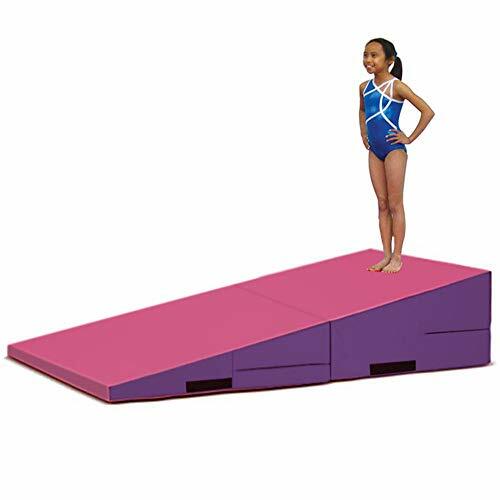 Incline mats are often known as cheese wedge mats are an important part of skill development for tumbling whether for gymnasts or cheerleaders. There are various sizes of these types of tumbling mats. If you are looking to buy an incline mat, check which one would be best for your child before purchasing. The size and length of the ideal wedge is going to depend on the age and height of your child. While not the most obvious choice for a gymnast, a puzzle mat is worth looking at if you are looking to soften a surface but are not necessarily interested in a thick mat. These are great for exercise, babies and toddlers, playrooms and even outdoor spaces. They are worth taking a look at if they will fit your space. Mats come in various shapes, sizes, thicknesses. Depending on your needs, will depend what you are looking for. 5×10″ mats are a popular size for panel mats, and as for incline mats, you need to take your child’s size into account and choose the right size. If you plan on attaching mats together, measure your space and then see what combination of mats will fit best into your space. The price of the gymnastics mats are going to vary depending on the type. Folded mats are going to be a different price than wedge mats etc. It is best to evaluate your needs, and your budget, and choose the best gymnastic mat you can afford. Why Buy a Gymnastics Mat? Well if you are reading this guide, you are likely on the hunt for the best gymnastic mat for your home. Perhaps it is to encourage extra practice for your child so they can work on their skills while they are not at the gym? Or perhaps you are looking for the safety features that mats can offer your children. 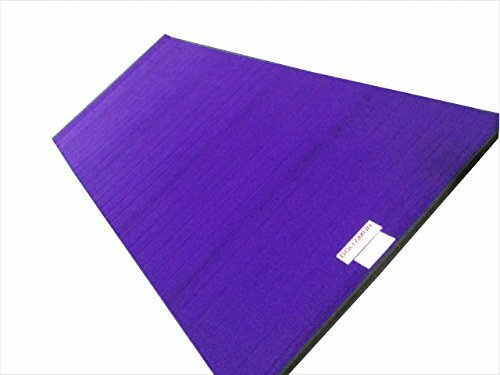 Maybe you are looking for a mat for your dancer to stretch on or the best jiu jitsu mat. Whatever your reason, I hope you have found the best gymnastic mat for your house after reading this guide. Have any questions? Feel free to ask in the comments or send me an email! This panel mat is your typical 4 panel mat. It is 8 feet long and 4 feet wide with 2″ thick EPE. You can get it in a variety of colors including black, blue or red or mixed colors. I like this mat because it can easily be folded and slipped under a bed or into a closet or stood up in the corner when I am cleaning around it. It also has 2 cary handles for portability. This makes it easy to transport if you are taking it outside to practice or to get it out of storage. The colorful one is my favorite. This gymnastics mat can also be used for stretching, yoga, pilates, wrestling or for a daycare play mat. Click here to read reviews or check prices..
4′ x 8′ x 2″ is a popular size option but larger might suit your child and space better. Click here to read reviews or check prices. If you are looking for a cheese wedge gymnastics mat, these ones should be the first that you look at. Incline mats are an important part of skill development for tumbling whether for gymnasts or cheerleaders. There are various sizes and check which one would be best for your child before purchasing. The smallest size is for children 5 and under. The rest of the sizes are sold based on the size of your child. You should choose a length that is at least 12″ taller than your child, with as much room to grow as your space allows. All of the sizes are made from 18 oz. vinyl, and are supportive and firm. Commercial grade – good enough for the gym! We Sell Mats has panel mats in all sizes. You can see them here. If you are looking for rainbow color, purple and pink or plain black, we sell mats has the variety for you! All fo their mats have velcro on all 4 sides to make it easy to hook multiple mats together and are 2″ thick. They are made of 18 oz non-toxic vinyl and have carry handles to make moving them around a breeze! 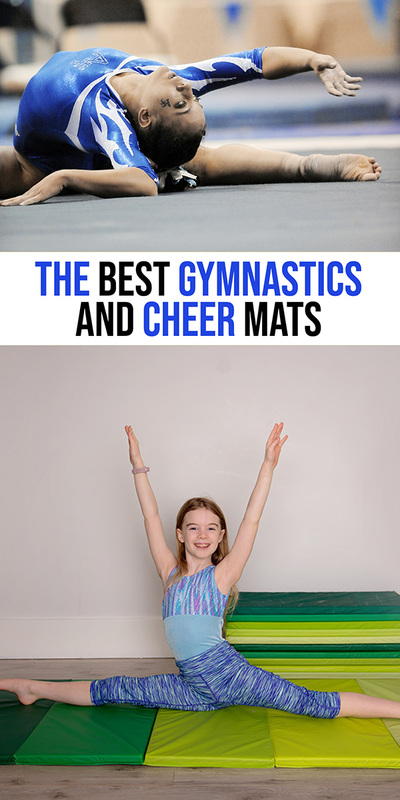 If you are looking for the best gymnastics equipment to have at home, these are one of the top pics for the best gymnastics mats. The Dollarmur Flexi-Roll Mat is probably the best roll out mat on the market. It is 5’x10’x1-3/8″ making it a decent thickness for gymnastics, cheerleading or wresting. While there is no velcro to attach these types of mats, if you are creating a more permanent space, they can be taped together. It is known for excellent shock absorbency. For storage, roll up the mat and use the provided strap to hold it together. This is not a soft padded mat. It is designed for tumbling practice or cheer or wresting. If you want something softer, go for a panel mat. Professional grade with excellent shock absorbency. These Panel Mats from Polar Aurora are highly dense and made from EPE foam. They are 2″ thick, 10 feel long and 4 feet wide. 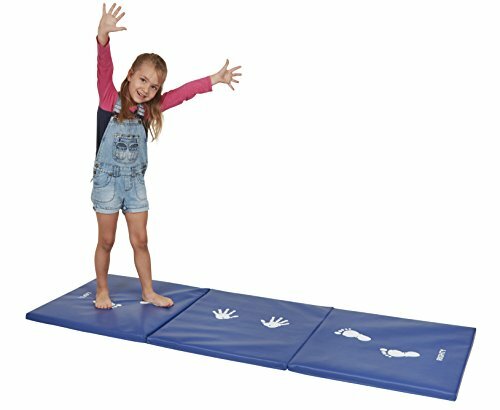 Hook and loop velcro fasteners mean you can attach these mats together if you are looking for a larger gymnastics mat surface for your child. They also have handles to make carrying and moving the mats more convenient. 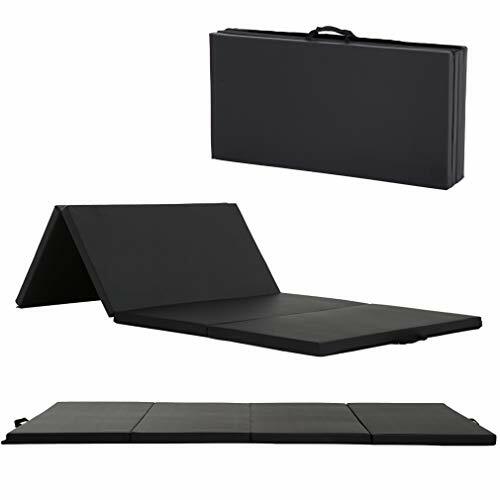 The Polar Aurora tumbling mats are made of PU leather and are easy to clean. With various colors you can let your child pick their style or favorite color. 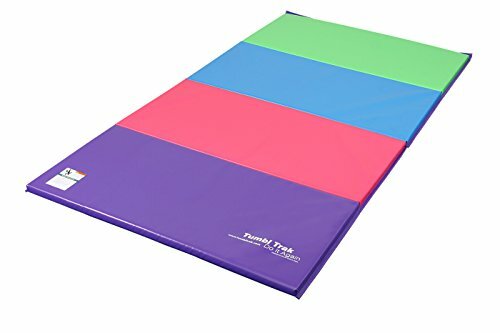 This is a cheap gymnastics mat to invest in for your child to practice at home. Whether tumbling, stretching, karate or cheerleading, you will get your money’s worth from this mat. 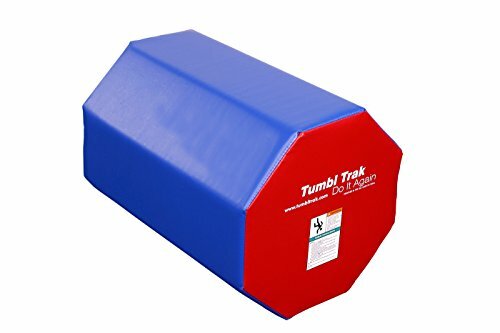 If your gymnast or cheerleader wants to work on backbends or leaps or over splits, the Octagon Tumbler from Tumbl Trak is an ideal choice. It has plenty of reviews online and shows to be durable and functional. It comes in a few sizes 20x20x28 or 30x30x36 and has convenient carry handles. One of the downsides of these mats is that you are not able to specify colors, but if you are not picky, you will be fine! The Z Athletic Gymnastics Mat is 4 feet by 8 feet and 2 inches thick. 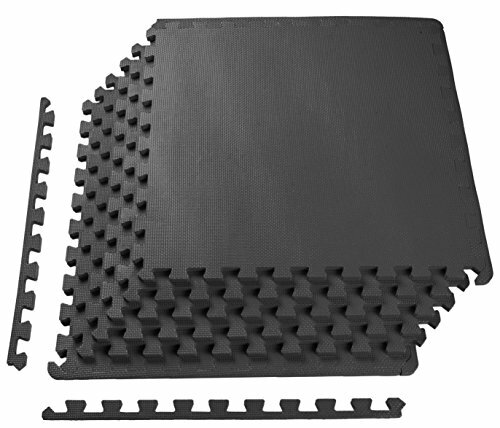 Like other panel mats, it has hook and loop velcro to attach multiple mats together. They are made of mildew-resistant 18 oz vinyl and and high density polyethyline foam. Z Athletic has 4 colors: blue, black, pink and purple. They offer a two year warranty. Whether you plan on using it for tumbling, Brazilian jiu jitsu, cheer practice or wrestling, the Z Athletic panel mat will be a great addition to your space. 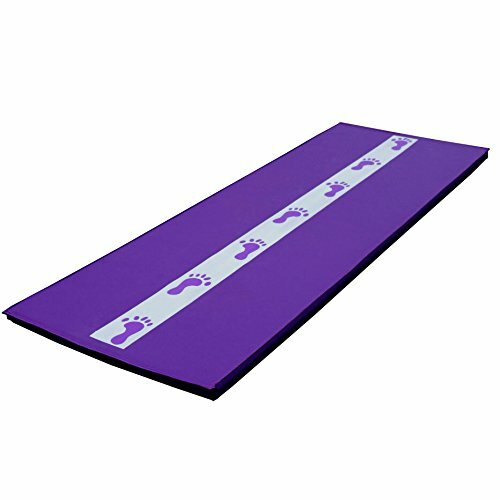 If you have a beginner gymnast and a small cartwheel mat is what you are looking for, this one from Z Athletic is a great choice. It’s vinyl cover is mildew and puncture resistant and has feet and hand markings for practicing left or right handed cartwheels. On the reverse side is a beam marking to practice on as well. It is 6’x2x’1.5″. It is a single panel mat and is not designed to be folded. Instead it stores well under beds and can be stood up in a closet.